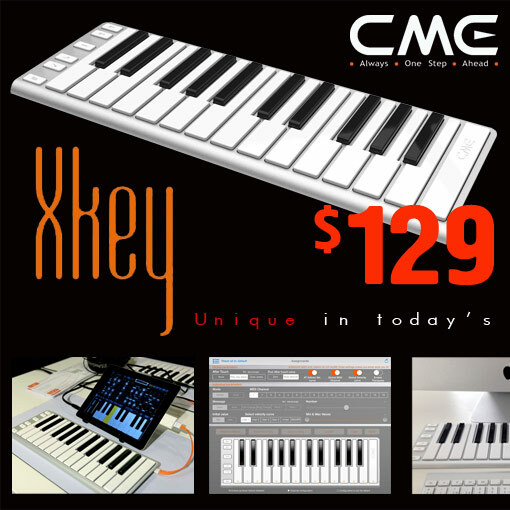 We are very excited to introduce our brand new XKEY 25-key Midi Keyboard.. It’s the keyboard Apple would have made if they were making keyboards.. Built by the same factory that makes the iPad, the XKEY features a slim moulded aluminium frame and is compact, lightweight and portable. 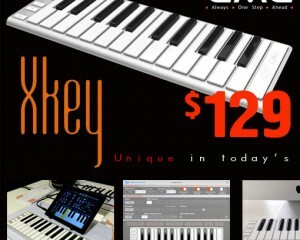 With 25 full-sized keys, the XKEY sets itself apart from all other keyboards in its price range that feature smaller keys. • 25 FULL sized keys .